Campion School is a boys school, founded on January 20,1943, by the members of the Society of Jesus, a Roman Catholic Religious Order commonly called the Jesuits. The Founder Principal was Late Fr. Joseph Savall S.J. The School began its career in a rental ground floor at 45 New Marine Lines with just 23 children, but as the year advanced there were 70 boys on the rolls. Campion School shifted its quarters to its originally intended premises at Wellesely House in January 1948. 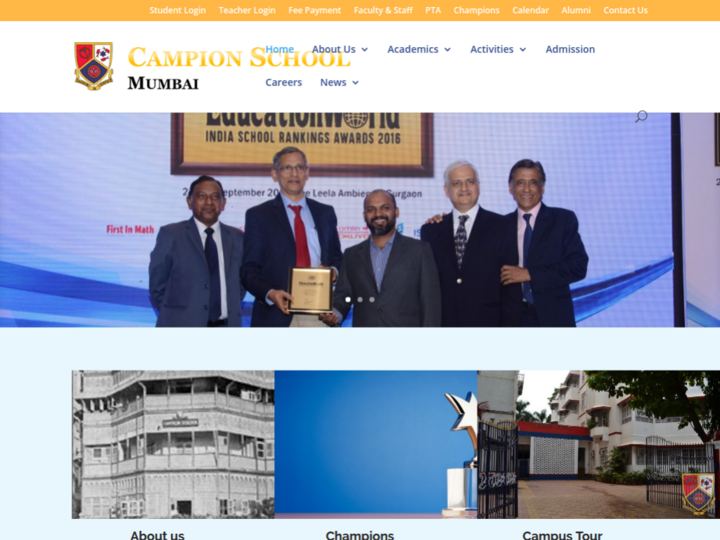 In 1956, Campion attained the stature of a full fledged High School with 382 children on its rolls, recognized both by the University of Cambridge as an A - CERTIFICATE SCHOOL, and by the SSC Board, Pune.